In the article a concept and maintenance of co-operation of law enforcement authorities are exposed in counteraction to contraband goods of narcotic facilities. Features and modern tendencies of criminality, that induce law enforcement authorities to realization of cooperation, are certain. Basic principles and forms of cooperation of law enforcement authorities are outlined in counteraction to contraband goods of narcotic facilities. Separate suggestions are given in relation to the improvement of cooperation of law enforcement authorities in counteraction of criminality. 1. Mіzhnarodna polіtseyska entsiklopedіya. U 10 t. Vіdp. red. Yu. І. Rimarenko, Ya. Yu. Kontratev. V. Ya. Tatsіy, Yu. S. Shemshuchenko. [ International Police Encyclopedia]. Kyiv. Kontsern Vidavnichiy dіm Іn Yure Publ. 2003. 1231 p.
2. Likhova S. Pro viznachennya ponyattya pravookhoronnі organi. [On the definition of law enforcement bodies]. Rad. Pravo Publ. 1984. Vol. 11. pp. 74–76. 3. Osadchiy V. Pravookhoronnі organi yak subekti krimіnalno-pravovogo zakhistu [ Law enforcement bodies as subjects of criminal law protection]. Pravo Ukraini Publ. 1997. Vol. 11. pp. 71–75. 4. Sudebnye i pravookhranitelnye organy Ukrainy. Uchebnik. A. M. Bandurka, A. K. Bessmertnyy i dr. [Judicial and law enforcement bodies of Ukraine]. Kharkiv. Osnova Publ. 1999. 346 p.
5. Kosyuta M. Vzaemodіya pravookhoronnikh organіv u borotbі zі zlochinnіstyu. [Interaction of law enforcement agencies in the fight against crime]. Vіsnik prokuraturi Publ. 2001. Vol. 6 (12). pp. 7–15. 6. Tyurіna O. Pravookhoronnі organi. Pitannya teoretichnogo osmislennya ta normativnogo viznachennya [Law-enforcement bodies: the question of theoretical comprehension and normative definition]. Pravo Ukraini Publ. 2001. Vol. 5. pp. 79–80. 7. Slovnik ukrainskoi movi. Ker. V. V. Nіmchuk ta іn. Vіd. red. V. V. Zhayvoronok. [Dictionary of the Ukrainian language]. Kyiv. VTs Prosvіta Publ. 2012. 1320 p.
8. Sovetskiy entsiklopedicheskiy slovar. Gl. red. A. M. Prokhorov. 3-e izd. [Soviet Encyclopedic Dictionary]. Moskva. Sovetskaya entsiklopediya Publ. 1985. 1600 p.
9. Korneva T. V. Vzaemodіya mitnikh organіv Ukraini z pravookhoronnimi ta deyakimi kontrolyuyuchimi organami [Interaction of customs authorities of Ukraine with law enforcement and some controlling bodies].Mitna sprava Publ. Vol. 3 (33). 2004. pp. 15–19. 10. Plіshkіn V. M. Teorіya upravlіnnya organami vnutrіshnіkh sprav. Pіdruchnik. Za zag. red. k.yu.n. Yu. F. Kravchenka. [ The theory of management of internal affairs]. Kyiv. NAVSU Publ. 1999. 702 p.
11. Dolzhenkov O. F. Vzaemodіya yak chinnik optimіzatsіi pravookhoronnoi dіyalnostі. 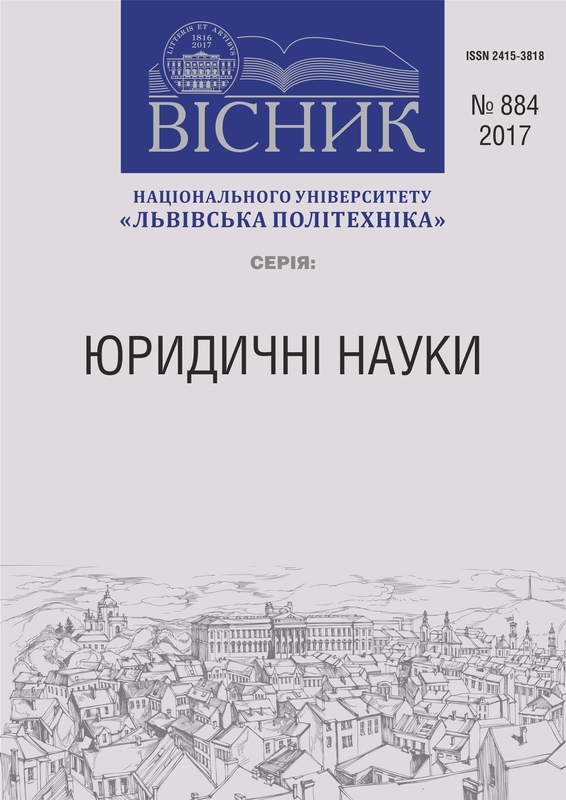 [Interaction as a factor in optimizing law enforcement activities].Vіsnik Luganskoi akademіi vnutrіshnіkh sprav MVS іmenі 10-rіchchya nezalezhnostі Ukraini Publ. 2002. Vol. 4. pp. 229–236. 12. Dagaeva G. Yu. Vzaemodіya pravookhoronnikh organіv u borotbі z organіzovanoyu zlochinnіstyu [Interaction of law enforcement bodies in the fight against organized crime]. Kharkiv. Vіsnik NUVS Publ. 2003. Vol. 22. pp. 12–15.